Wow! This month sure is going by fast! Here is our April Newsletter! 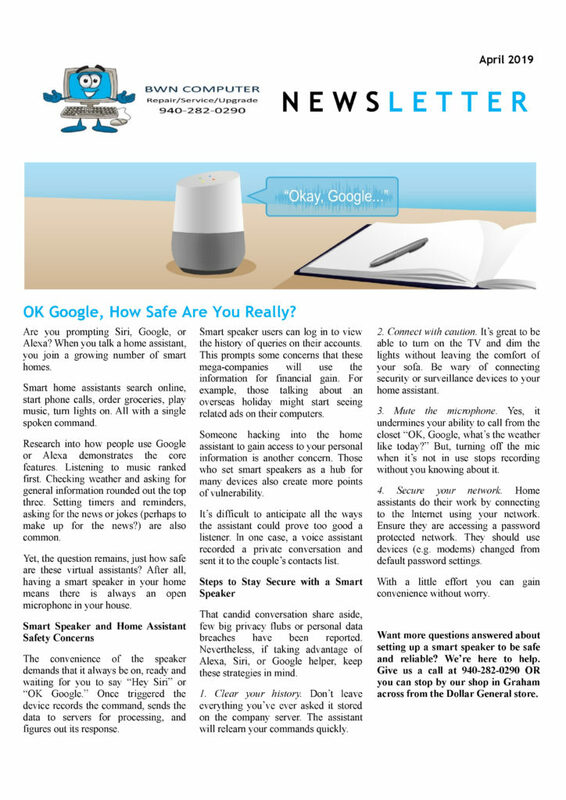 With this months’ newsletter…we go over just how safe Smart Home Assistants are (Siri, Google and Alexa to name a few). And…you’ll read a few of the ways you can secure your virtual assistants. 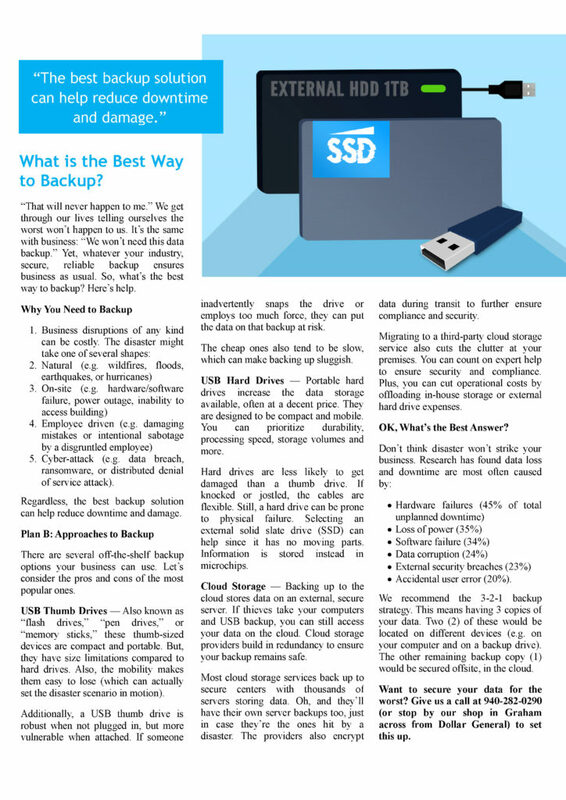 And…on the second page…the one thing we all should be doing with our important data…BACKUP, BACKUP, and BACKUP again. There are several different approaches to making sure your important data is backed up and secure…and…we outline the 3-2-1 method (two copies to different devices and one copy offsite (such as the cloud). If you have any questions about items in this newsletter (or any other computer-related issues), please…Contact Us…and we’ll get them answered. Have a Blessed Day…and…Happy Computing!